Cheryl Vinall Denney’s practice concerns advising and representing public and private companies in all phases of their business existence, including the formation and structuring of new companies and joint ventures, negotiation of credit agreements and other business contracts, asset acquisitions, private equity investments, mergers, acquisitions and other forms of business combinations and reorganizations, divestitures and dissolutions. She has particular expertise assisting private companies in raising capital, whether it be through angel investors, private equity funds, traditional lenders, or tax credits and other forms of government incentives. Clients value her approachable style, understanding of legal and business issues from all perspectives, ability to make legal and financial concepts understandable to non-experts, and her capacity to “think outside the box” in developing solutions to both day-to-day and complex business challenges. Cheryl’s practice in the area of government incentives has led to a specialty in general economic development law, community development finance, and structuring private equity transactions to qualify for tax incentives, including New Markets Tax Credits (NMTCs), Opportunity Zone incentives, federal and state historic rehabilitation tax credits, tax increment finance (TIF) districts, Oklahoma Quality Jobs rebates, and the Oklahoma Pooled Finance Program. She currently serves as co-leader of the firm’s Economic Development, Tax Credits and Business Incentives Group. She also works with private equity fund sponsors and their investors in the formation of the private equity funds and subsequent investments by the funds in portfolio companies. Cheryl also advises brewers, distributors, retailers, restaurants and other companies that operate under Oklahoma’s liquor licensing law, specifically focusing on helping clients navigate the myriad of changes as Oklahoma approaches “alcohol modernization” on October 1, 2018. In this role, she helps clients obtain licenses from Oklahoma’s ABLE Commission and local government entities, comply with liquor tax regulations under the Oklahoma Tax Commission and, when necessary, seek statutory or regulatory changes through the legislative process. Additionally, Cheryl assists sports franchises, as well as clients doing business with sports franchises, in their business and legal needs. She represented the owners of the Oklahoma City Thunder NBA franchise in the acquisition of the franchise and its relocation to Oklahoma City and continues to represent the Thunder on an ongoing basis. Cheryl also counseled Globe Life Insurance in its acquisition of the naming rights for the home ballpark of the Texas Rangers MLB franchise, now known as Globe Life Park in Arlington, Texas. Cheryl has played a key role in a significant number of high-profile commercial projects throughout the region. Notable projects include: NMTC financing of Variety Care Britton Campus in Oklahoma City, Tandy YMCA in Tulsa, Oklahoma and ASCO aerospace manufacturing facility in Stillwater, Oklahoma; joint NMTC/historic financing of new First National Center parking garage in Oklahoma City, new law school building for Oklahoma City University, the historic Skirvin Hilton Hotel in Oklahoma City, and the historic Mayo Building in Tulsa, Oklahoma; creation of new TIF district in Durant, Oklahoma, for a $250 million new steel manufacturing operation and in Garfield County, Oklahoma, for a $1.2 billion expansion project; and naming rights agreements for Chesapeake Energy Arena in Oklahoma City and Globe Life Park in Arlington, Texas. 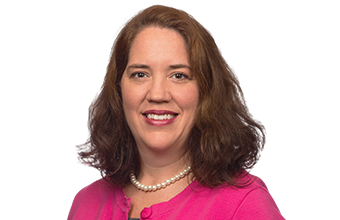 Prior to joining McAfee & Taft in 2003, Cheryl was a corporate associate in the New York office of Paul, Weiss, Rifkind, Wharton and Garrison, an international law firm that concentrates in corporate law and litigation. While in law school, she completed internships with the United States Trade Representative’s Office and LG Group, a large South Korean conglomerate. In addition to her active transactional practice, Cheryl also chairs the firm’s Women’s Initiative Committee. Representation of various community development entities, project sponsors, tax credit investors, and leverage lenders in New Markets Tax Credit financings for projects valued in excess of $1 billion in the aggregate, including NMTC financing of new aerospace manufacturing facility in Stillwater, Oklahoma, and joint NMTC/historic financing of new law school building for Oklahoma City University, the historic Skirvin Hilton Hotel in Oklahoma City, Oklahoma, and the historic Mayo Building in Tulsa, Oklahoma. Ongoing representation of The Chickasaw Nation Division of Commerce in its private-sector investments. Ongoing representation of Dupré Energy Services, LLC, a diversified company with 19 locations in eight states that provides specialized rental and inspection and certification services to the onshore and offshore oil and gas industry. 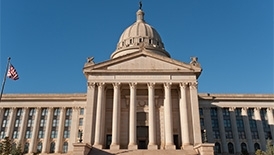 Represented developer in the creation of a new tax increment financing (TIF) district in Garfield County, Oklahoma, in connection with a $1.2 billion expansion project. Represented Globe Life Insurance Company in the acquisition of naming rights for the home ballpark of the Texas Rangers MLB franchise, now known as Globe Life Park in Arlington, Texas. Represented Oklahoma City-based investor group in the acquisition of the Oklahoma City Thunder NBA franchise and Seattle Storm WNBA franchise, subsequent sale of the Storm WNBA franchise, acquisition of the Tulsa 66ers NBA Development League franchise, and relocation of the Thunder franchise to Oklahoma City. Represented Global Gaming Solutions, LLC, a subsidiary of The Chickasaw Nation, in its acquisition of Lone Star Park, a horseracing track located in Grand Prairie, Texas, through a complex bankruptcy auction. Represented i2E, Inc., a non-profit entity, in the formation of an early-stage seed capital fund focusing on investments in Oklahoma-based technology companies. Former outside general counsel to multimillion-dollar “destination club” with properties and developments in the United States, Mexico, Bermuda, and various Caribbean and Latin American countries. Represented MROTC Development Partners LLC, the developer of a maintenance, repair, overhaul and technology center at Tinker Air Force Base, in matters related to the formation and governance of various joint ventures and other entities related to the project. Represented First United Bank & Trust Company in its acquisition of Southwestern Bank and Farmers & Merchants State Bank of Krum. Represented private equity funds with aggregate commitments exceeding $2 billion in the formation of funds and subsequent private equity investments. Represented Time Warner, Inc. in its $58 billion bid for AT&T Broadband, $9.8 billion restructuring of its partnership with Comcast and AT&T, and restructuring of Time Warner Entertainment, the subsidiary through which it held HBO, Warner Bros. and Time Warner Cable. Represented USA Networks, Inc. in its $500 million acquisition of publicly held Styleclick.com, Inc. and subsequent “going private” transaction. Represented special committee of the board of directors of VitaminShoppe.com in “going private” transaction. Represented owners of Robinson Lerer & Montgomery, LLC, a 130-person public relations company based in New York City, in the sale of the company to Young & Rubicam, Inc.
What’s all the buzz with opportunity zones?